boosting both efficiency and productivity. From its six factories spread across four different countries, the children’s footwear specialist Kotofey manufactures over 3 million new pairs of shoes a year. The shoes are sold in more than 200 locations and, with a new pair of shoes being produced every 10.5 seconds, inventory management can be a challenge. Sending stock to suboptimal outlets erodes profits. To better manage inventory and maximise profits, Kotofey needed to know exactly where to send new models and when. Given the scale of Kotofey’s operation, stakeholders needed reports on sales figures and stock levels that updated in near real-time. In the absence of an analytical solution, Kotofey’s business analysis team were relying on Excel reports to determine strategy – an inefficient and unsustainable solution. As well as business analysts, staff from sales and marketing divisions were going to be using Kotofey’s new analytical tool. The tool needed to be easy to grasp and simple to use. It needed to be accessible to those without any formal analytical training whatsoever. Like all businesses, Kotofey’s budget was limited. And, like all businesses, Kotofey wished to maximise their ROI. The company needed an affordable business intelligence solution that wouldn’t restrict the company’s analytical processing capabilities. Polymatica were able to help Kotofey with all of their requirements. Our platform’s GPU-accelerated processing power allows users to interrogate huge datasets in seconds, which would keep Kotofey’s reports agile and up to date. And as Polymatica’s design is inspired by the study of the human brain, it’s easy for anyone to grasp – regardless of job role or responsibilities. Kotofey agreed. 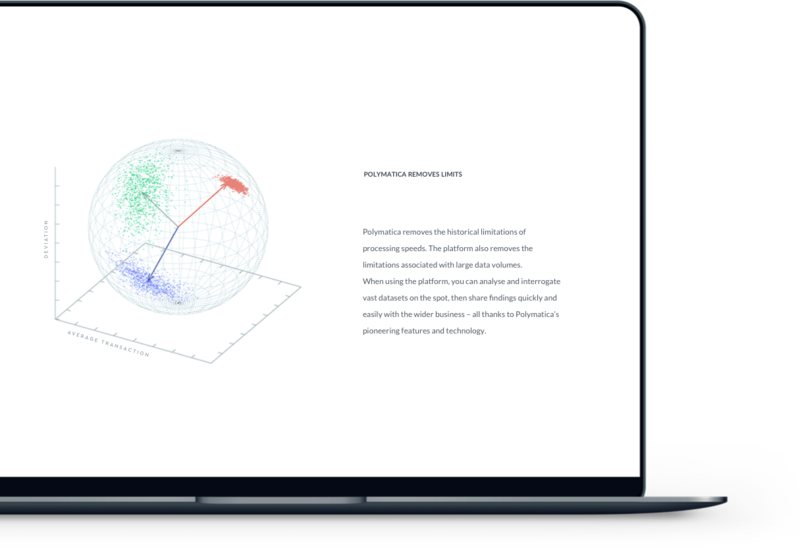 Their team worked with us to build the company’s first Multisphere™ in a single day. Introducing new users to the platform took just one day more. Following the introduction of Polymatica, business analysts are no longer running manual reports using Excel. As opposed to churning out the same reports on repeat, analysts can check stock levels and sales figures in seconds. They’re now free to mine for profit-enhancing insights elsewhere. Stakeholders across multiple Kotofey departments now have access to information on sales and stock levels on demand. Distribution is simple, inventory management is no longer guesswork and retail outlets can expect to receive the stock they’re in need of as and when they need it, maximising sales. Kotofey plan to expand Polymatica’s reach, citing improved managerial decisions as one of the anticipated long-term benefits of the platform.